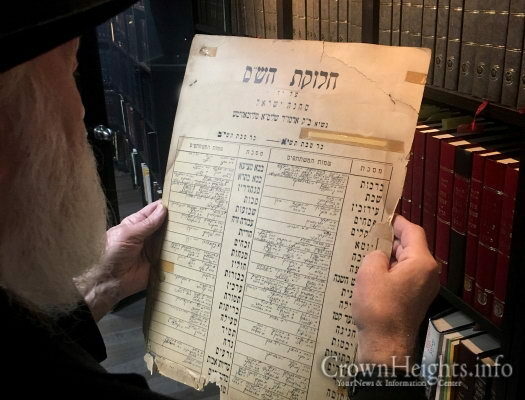 Rabbi Yehuda Krinsky holding the 1951 Machne Israel Chalukas Hashas sign, which was prominently displayed in the shul in 770. You can discern the two tractates that the Rebbe took to learn: Sukkos and Sanhedrin. With the approach of the Chag HaGeulah of Yud-Tes Kislev, we take this opportunity to remind you of the annual “Chalukas Hashas” (division of Talmud study) as instituted by the Alter Rebbe. 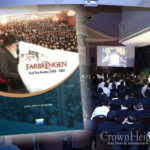 Throughout the years during the Yud-Tes Kislev farbrengen, the Rebbe, of blessed memory, would speak about the great merit and zechus of participating in the Chalukas Hashas, to complete at least one mesechta from Yud-Tes Kislev to Yud-Tes Kislev, and encouraged everyone to take part. Indeed, every year at the farbrengen, special cards were distributed on which the assembled would write their name and the tractate chosen. 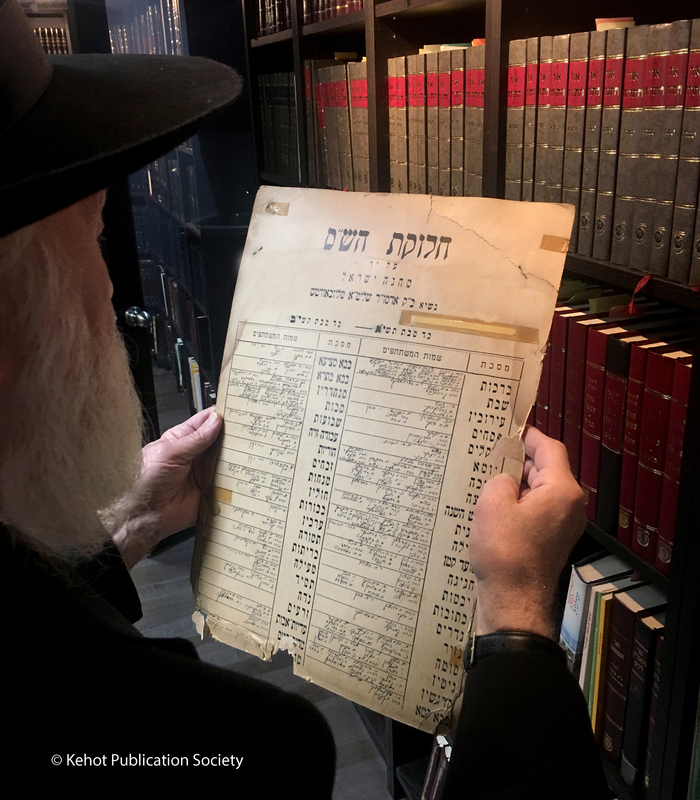 The Rebbe, too, would fill out such a card and include it the collection of the hundreds of cards collected at the farbrengen. To help create greater awareness and observance of this custom, we have made it easier to join the Chalukas Hashas. 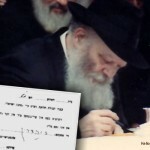 Please click on: http://www.chalukashashas.com – sign up and select the mesechta you have chosen to study (bli-neder) till Yud-Tes Kislev 5779. Wishing you a גוט יום טוב. P.S. You may also register your mesechta by mailing your choice to: Machne Israel / Chalukas Hashas, 770 Eastern Parkway, Brooklyn, NY 11213. That everyone take a misechta!